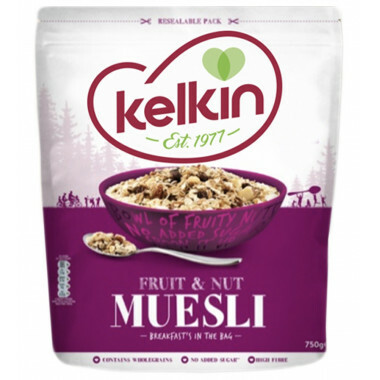 Treat yourself to a wholesome, tasteful breakfast with Kelkin original muesli! 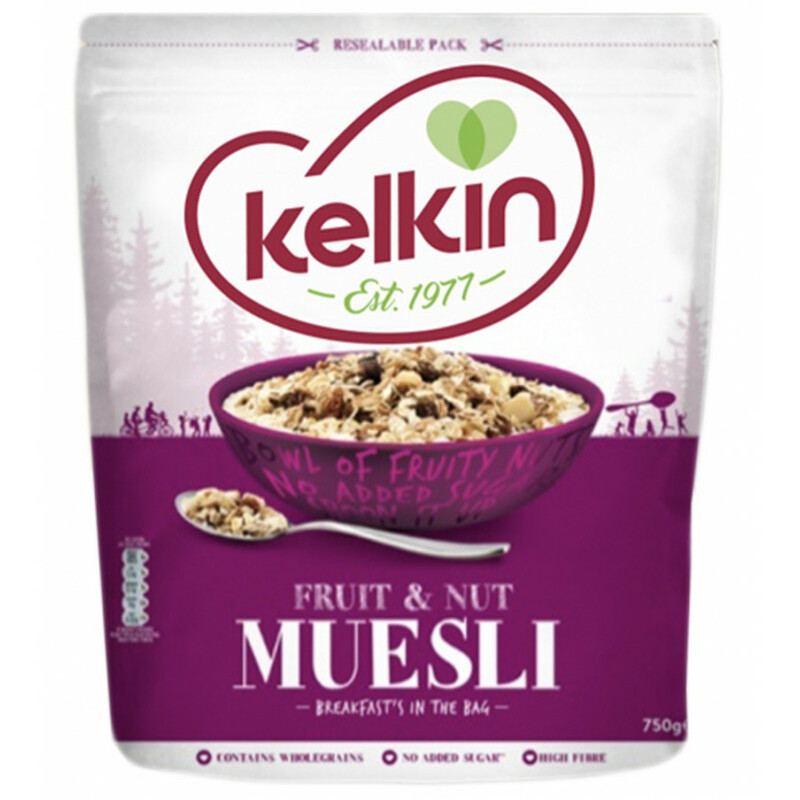 Treat yourself to a wholesome, tasteful breakfast with Kelkin Original muesli! Original muesli is a delicious mix of carefully selected fruits, nuts, wheat and oat flakes to kick-start your day. 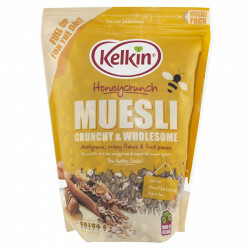 Try this delicious honey-flavoured muesli ! 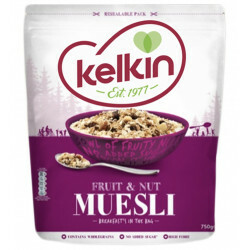 Ingredients: wholegrain cereals (in variable proportions) (58%) [wholegrain jumbo oat flakes, wholegrain toasted wheat flakes (wheat, barley malt), wholegrain barley flakes, wholegrain wheat flakes], dried fruit (in variable proportions)(34.5%) [jumbo raisins (raisins, sunflower oil), chopped dates (dates, rice flour), sultanas (sultanas, cotton seed oil), nuts (in variable proportions)(5.5%) [hazelnuts, almonds], sunflower seeds (2%). For allergens, including cereals containing gluten, please see ingredients in bold. Produced in a facility that handles sesame seeds and sulphites. Shake well before serving. Store in a cool, dry place. Reseal once opened. This pack contains 16 servings of 45g.